The technology uses cryptography to make sure that users can only edit their own blocks. Each user has a unique, private key that’s required to alter their own Blockchain file. Additionally, the technology keeps the entire chain of distribution synched. Many enterprises are still experimenting with Blockchain. However, if business leaders can successfully leverage it to secure information transfers — Blockchain will be the next hot career field. 1. Become a Blockchain Security Specialist. Because Blockchain is in its early stages, it’s unclear which industries will successfully incorporate the technology. However, there was 15-percent growth in the use of the technology for healthcare applications. Analysts forecast that implementation will increase by 55-percent by the year 2025. Talented individuals who can help enterprises leverage the technology to make transactions more secure, smoother, faster and less expensive will be in high demand. 2. Develop a FinTech Application. Historically, banks and entrepreneurs haven’t had the best relationship. Still, entrepreneurs need funding to launch their enterprises. Despite this rocky relationship, banks are equally dependent on entrepreneurs. Their businesses drive the economy, and often, the two form reluctant partnerships. Ironically, businesses have more funding options, despite facing more stringent loan requirements. Some entrepreneurs fund their undertakings with high-interest credit cards or complicated banking arrangements. This is especially troublesome, however, for business owners who are struggling to keep costs down — and cash flow up. 3. Secure a Crypto Miner Broker License. This seems to be the direction that the digital finance firm is headed. As company officials have been speaking with regulators about securing banking licenses — digital finance can help. If successful, the firm could become the first cryptocurrency exchange. To secure a broker-dealer license issued by the U.S. Securities and Exchange Commission (SEC) and Financial Industry Regulatory Authority (FINRA) would be all that is needed. Thought difficult to obtain — it is possible. Successful licensure will allow Coinbase to offer crypto securities trading, margin trading, over-the-counter (OTC) trading. This trading will lead to new financial information products. These services would position the enterprise for a considerable market expansion and salaries may very well equal the average pay for stockbrokers $67,310 and climbing. 4. Become a Blockchain Developer. The Internet combined with the decentralized framework of Blockchain now allows anyone in the world to start a business. Anyone — anywhere — will be able to execute transactions securely. Before the Internet, this kind of powerful encryption was inaccessible to many small business owners. 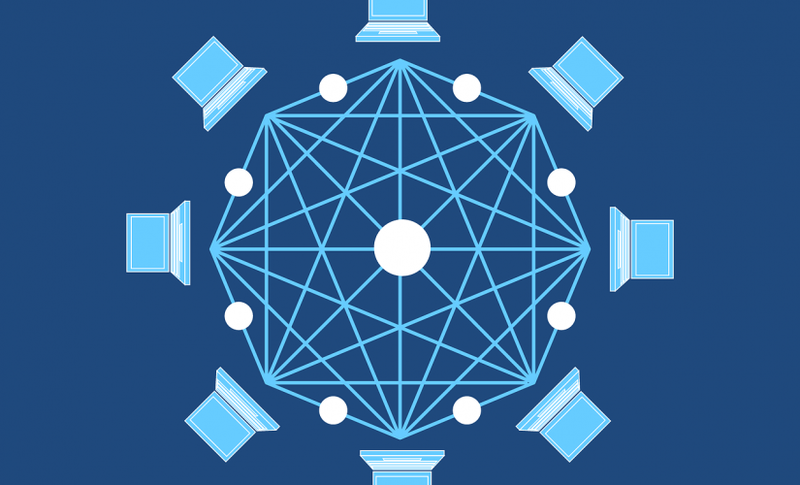 Now, Blockchain might potentially make its way into every industry and field — regardless of the size of the enterprise. The same code can source external information and trigger actions when certain events take place. The result is that stakeholders can use the technology to manage intellectual property. There will be control over user access and limit editing privileges.